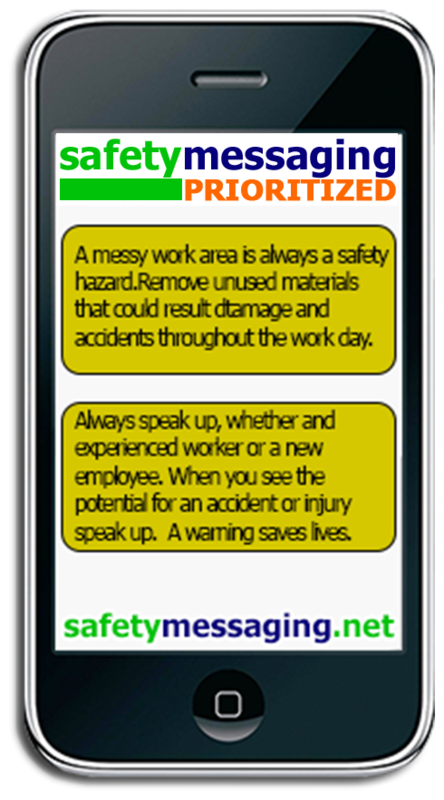 Our proven safety messaging system allows you to develop message platforms that educate your employees and target the safety concerns that are most important in your workplace. Nothing is more central to an organization’s effectiveness then its ability to transmit accurate, relevant and understandable information among its members. 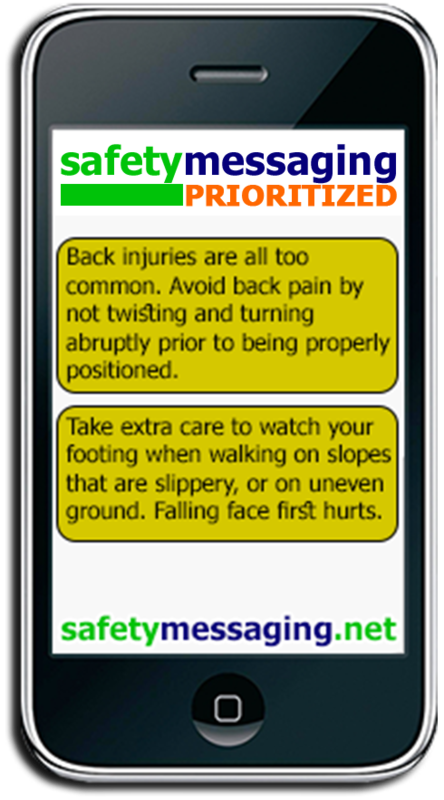 Reduces Accidents: The key to reducing accidents is ‘risk-awareness’. 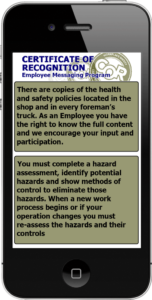 Our daily messages ensure safety is in the forefront of an employee’s mind every day. Making accident avoidance become habit. Builds Confidence. Everyone gets the same message at the same time. No confusion. No misunderstanding. Our messages stimulate communication which results in a confident workplace. Increases Productivity. A confident workplace is a safer environment. A safe worker is a more productive employee. 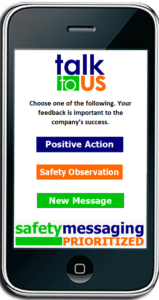 TALK TO US is an interactive reporting system designed for employees to provide feedback on Positive Actions, Safety Observations and New Messages.